Kawasaki dealers across the nation will simultaneously host their highly anticipated annual open evening events on 21st March 2019, giving customers the unprecedented opportunity to experience the newest Kawasaki motorcycles in the flesh and enjoy their hospitality. The event has been dubbed 'Supercharged and Versatile', in honour of two of the most ground-breaking models developed by Kawasaki for 2019. The ever accelerating Ninja H2 SX SE+ and the all-new Versys 1000 SE, both enhanced with the addition of Kawasaki Electronic Control Suspension. Alongside these benchmark motorcycles will be an extensive list of new and updated models from our range including the Ninja 125, Z125, Z400, Ninja ZX-6R, Ninja ZX-10R range and all of the current Kawasaki motorcycles that you have come to admire! In addition to the national prizes, each Kawasaki dealership will select a winner on the evening for 1 x Leon Haslam print by Billy the Artist and 1 x Motorcycle Traveller book by legendary film creator, Peter Starr. To register your attendance at the Supercharged and Versatile Event, simply fill in the registration form below and select your local Kawasaki dealer. You can also request a test ride through this form, if you are looking to try out one of our 19MY motorcycles, and the dealer will be in contact to arrange a suitable date and time for your test ride. For more information, contact your local Kawasaki dealer. The prize draw is open to UK and Northern Ireland residents aged 18 and over. Participants must hold a current UK motorbike licence for all test ride bookings and have a valid email and postal address to participate. Participants must supply full details as required by the enquiry form. No responsibility is accepted for ineligible, incomplete, or fraudulent entries. 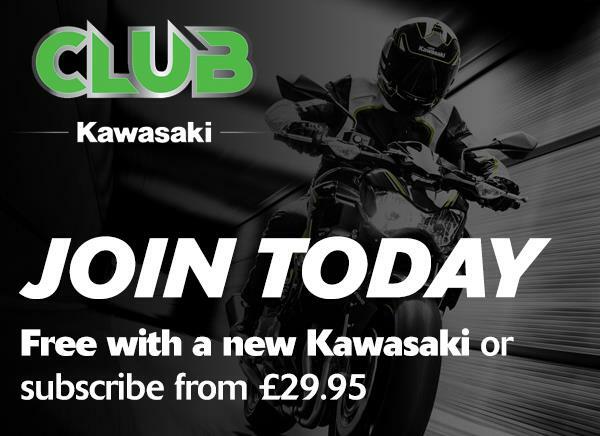 Information provided by participants in registering for this promotion will only be used by Kawasaki Motors UK and the chosen Kawasaki Dealership in future, if entrants have provided permission. You have the right to change your details held by us or withdraw your consent at any time by contacting the Customer Service department, Kawasaki Motors UK, Branch of Kawasaki Motors Europe N.V, 1 Dukes Meadow, Millboard Rd, Bourne End, Bucks, SL8 5XF. No entrant information whatsoever will be made available to any third parties. This draw is not open to employees, dealers, dealer staff or contractors of Kawasaki Heavy Industries, Kawasaki Motors Europe and Kawasaki Motors UK or any person directly or indirectly involved in the organisation or running of the draw or their direct family members. Each qualifying participant can enter the free draw to win advertised prizes. Duplicate entries will be deleted. The competition closes at 1:00pm on Monday 18th March and Kawasaki Motors UK will draw the prize winning customer details at random at 2:00pm on Monday 18th March. The 1st national prize is valid for a Dragon Moto Tour to Saarland and Moselle, Germany on 2-7 May 2019 only. If the winner is unable to accept these travel dates, fails to arrive by the departure time or does not hold a valid passport, their prize will be forfeit and the winner shall not be entitled to any form of compensation. The prize as described is available on the date of publication. Should the prize become unavailable, a substitute tour of equal value shall be provided. The prize is non-transferable and there are no cash alternatives. A member of the KMUK marketing department will contact the dealerships directly to advise them of their winning customers details. An email providing further information about the prize, and how it will be coordinated, will be sent from KMUK to the winning participant within five working days of the draw. The winning participant will then be required to confirm acceptance of the prize by replying to the email within seven days of this date. Following acceptance of the prize the winning customer's details will be shared with Dragon Moto Tours. If a winner does not confirm acceptance of the prize within seven days, they will automatically forego the rights to claim the prize and a new winner will be chosen from the winning customers who were successful in reaching the final stage of the draw. 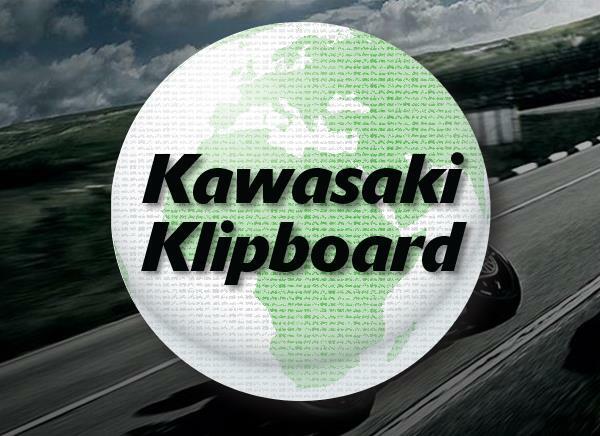 The decision of the promoter, Kawasaki Motors UK, is final. No correspondence will be entered into. KMUK and Kawasaki Dealerships reserve the right to use photography of the event and competition winners on social media channels. By entering the draw participants agree to be bound by these conditions.